Walter Henry Huntzinger (Shakes) was born in Pottsville, Pennsylvania on February 6, 1899. He attended high school in Scranton and then the Bellefonte Academy, in central Pennsylvania, for two years. 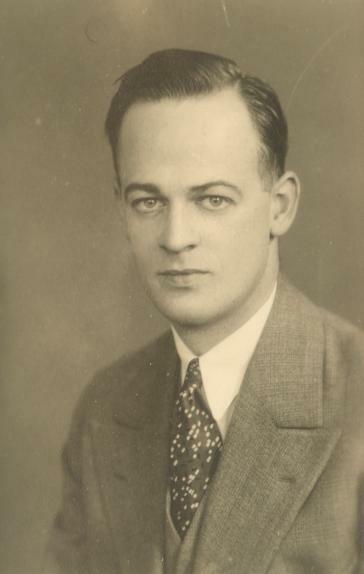 After service in World War I, he enrolled in the University of Pennsylvania in the fall of 1918. At Penn, Huntzinger played baseball on his class's freshman team in 1919 and then on the varsity teams for both baseball and basketball during the next three seasons, earning All-American honors in both sports in 1923. Huntzinger made his major league baseball debut as a relief pitcher for the New York Giants on September 19, 1923. During two of the three seasons he played with the Giants, the team won the National League pennant. In 1926, his last season in the majors, he played for both the St. Louis Cardinals and Chicago Cubs. He then played two more seasons in the American Association with the Toledo Mud Hens; during his last season Huntzinger posted a 13-5 record and the Mud Hens won the pennant. Huntzinger's animated windup was legendary. In December of 1923, Huntzinger married Margaret Dunn, who had played championship basketball on a 1918 Lansdowne High School team. The newlyweds honeymooned in England with Casey Stengel and his bride while the Giants were there on an exhibition tour, even appearing before King George V and his sons. Huntzinger retired from professional baseball in 1928 because of tuberculosis. After treatment in a New York sanitarium he returned to the Philadelphia area, living in Lansdowne. After a brief stint as basketball coach at Haverford College, he struggled to find reliable work during the Depression. He later worked at a number of jobs, eventually holding a position as a court crier in Delaware County Common Pleas Court and finally as a constable in Lansdowne. Huntzinger died on August 11, 1981, in Upper Darby, Pennsylvania.